Is Your Online Cloud Storage Secure Enough? Having cloud storage is a reality of living and working in an ever more connected world, where we expect to have access to our data anywhere with an internet connection at the drop of a hat. Cloud storage makes it easier for us to travel, to share and most importantly keep our data safe. However, not all cloud storage solutions are created equal. While many commercial services are more quick and convenient, they sacrifice security in order to be more accessible. If you deal with sensitive data such as financial documents for clients, are you using a cloud solution that’s secure enough? Whether you’re sharing documents within your organization or with outside parties, are the documents kept in an encrypted state until they’re viewed or downloaded? The best cloud services share files through an SSL/TLS connection which encrypts all communication between computers and servers. If the service you use simply sends files via email, that’s not secure enough. Does the service you use allow you to set up two-factor authentication? A common way for attackers to breach cloud storage services is simply by acquiring a user’s login information which can be done through deceptive phishing methods. This can be curbed if you require a second form of authentication to access your cloud service. This can include a randomly generated code on a mobile app or a physical key you plug into the computer you’re logging in with. Some sophisticated systems even allow you to log in with biometric authentication if you have the hardware. 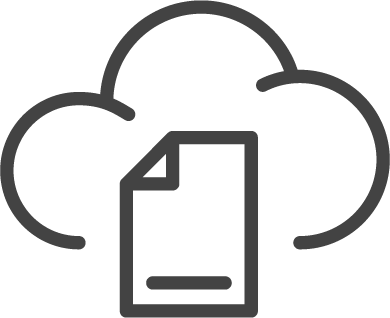 Being able to set the governance of certain files in your cloud solution is essential for staying compliant and avoiding liability. These features allow you to set retention dates on individual files and groups of files. Once you’ve archived a document for the minimum amount of time, the system will permanently delete it. Purging your system of documents you don’t need anymore is an important practice. If for whatever reason your system is breached, you don’t want to be held liable for stolen documents that you didn’t need to have in the first place. When you have multiple users accessing the system, but not all are authorized to access certain documents, your cloud solution needs to have a method of locking out certain users from downloading or even seeing those documents. Permissions are easier to designate with a role-based system that allows you to create groups of users and designate their levels of permission for certain documents. If you work in accounting and the financial industry, data security is paramount and needs to be a daily consideration. Using a free, public cloud storage service may be acceptable for exchanging non-essential data with colleagues and clients, but when it comes to storing and sharing documents containing private data, then it becomes a security risk. Going with a solution that doesn’t cut corners on security and is built for handling sensitive documents will go a long way toward giving both you and your clients peace of mind. 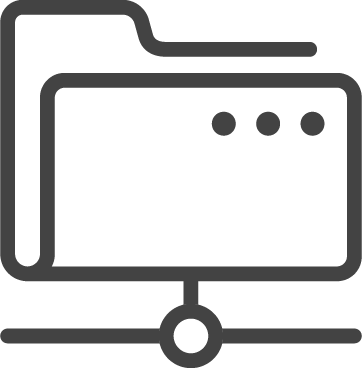 eFileCabinet is a document management system that contains all the previously mentioned security features and allows accountants to work more efficiently. To learn more about how eFileCabinet can address your cloud security concerns, download and read our eBook, Tech-Savvy Clients Are Going to Ask You Tough Questions.